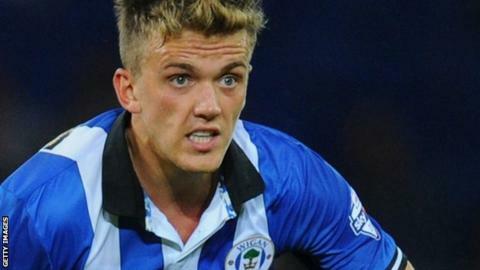 Emyr Huws scored twice and created a third as Huddersfield overcame a Bolton side that finished with 10 men. Liam Feeney burst into the box inside three minutes to drill home Bolton's first goal away from home this season. Bolton's Prince-Desir Gouano sliced a clearance onto his own bar before Huws levelled with a 25-yard shot. Huws found Mustapha Carayol to put the Terriers ahead then added a second of his own before Joel Lynch made it 4-1 and Derik Osede was sent off. Former Real Madrid defender Derik picked up his second caution late on after bringing down Nahki Wells. Bolton were the last remaining Championship team this season to score an away goal. Victory puts the Terriers 13th in the table but Bolton are just one place off the relegation spots. Feeney, whose first goal in almost eight months helped the Trotters to their first victory of the campaign last week, put Bolton ahead when he latched on to a lofted Dean Moxey ball and skipped behind defender Jason Davidson before finding the bottom corner - but that was as good as it got for Bolton. First Emile Heskey limped off injured, then Prince miscued a clearance against the woodwork. Huddersfield's Elliott Ward then hooked Wellington Silva's header off the line, while at the other end keeper Ben Amos almost gifted the hosts an equaliser after a back-pass slipped through his legs, before Huws found the net in first-half injury time. He wasted a good chance for 2-1 after good work from Carayol, who minutes later turned scorer himself, with a fine curling shot. Carayol set up Huws' second, turning the ball in at the back post, before Lynch dispossessed Lawrie Wilson to make it 4-1, with Derik's dismissal rounding off Bolton's miserable day. "We scored four but it probably could, and should, have been more. "In the Championship you rarely have a 90-minute total performance but we got close to that with 85 minutes. "If the players get anywhere near their potential they can be a real force." "I felt we were a bit leg weary and there was a lack of physicality and we can't rely on the defence to keep teams out. "We were far too passive in the second half and gave away sloppy goals. "We have created decent chances but we are not converting them. That's a concern and if we don't find that bit of quality in the squad it's going to be a long, hard season." Match ends, Huddersfield Town 4, Bolton Wanderers 1. Second Half ends, Huddersfield Town 4, Bolton Wanderers 1. Attempt saved. Nahki Wells (Huddersfield Town) right footed shot from the centre of the box is saved in the centre of the goal. Assisted by Sean Scannell. Offside, Huddersfield Town. Jason Davidson tries a through ball, but Harry Bunn is caught offside. Foul by Tom Walker (Bolton Wanderers). Sean Scannell (Huddersfield Town) wins a free kick on the right wing. Attempt missed. Nahki Wells (Huddersfield Town) right footed shot from outside the box is close, but misses to the left from a direct free kick. Substitution, Bolton Wanderers. Alex Finney replaces Stephen Dobbie. Second yellow card to Derik (Bolton Wanderers) for a bad foul. Nahki Wells (Huddersfield Town) wins a free kick in the attacking half. Attempt missed. Harry Bunn (Huddersfield Town) right footed shot from the left side of the box misses to the right. Attempt blocked. Nahki Wells (Huddersfield Town) right footed shot from the left side of the box is blocked. Assisted by Jamie Paterson. Substitution, Huddersfield Town. Nahki Wells replaces Ishmael Miller. Attempt missed. Ishmael Miller (Huddersfield Town) left footed shot from the left side of the box is high and wide to the left. Assisted by Jason Davidson. Attempt missed. Gary Madine (Bolton Wanderers) right footed shot from the centre of the box is close, but misses to the right. Assisted by Lawrie Wilson. Goal! Huddersfield Town 4, Bolton Wanderers 1. Joel Lynch (Huddersfield Town) left footed shot from the left side of the box to the bottom left corner following a set piece situation. Mark Davies (Bolton Wanderers) is shown the yellow card for a bad foul. Jason Davidson (Huddersfield Town) wins a free kick on the left wing. Foul by Mark Davies (Bolton Wanderers). Substitution, Huddersfield Town. Jamie Paterson replaces Mustapha Carayol. Neil Danns (Bolton Wanderers) is shown the yellow card. Harry Bunn (Huddersfield Town) wins a free kick on the left wing. Foul by Neil Danns (Bolton Wanderers). Substitution, Huddersfield Town. Jonathan Hogg replaces Emyr Huws. Attempt missed. Stephen Dobbie (Bolton Wanderers) left footed shot from the left side of the box is close, but misses to the left. Assisted by Mark Davies. Foul by Joel Lynch (Huddersfield Town). Mark Davies (Bolton Wanderers) wins a free kick in the attacking half. Goal! Huddersfield Town 3, Bolton Wanderers 1. Emyr Huws (Huddersfield Town) right footed shot from the right side of the six yard box to the bottom right corner. Assisted by Mustapha Carayol with a cross. Offside, Huddersfield Town. Mustapha Carayol tries a through ball, but Harry Bunn is caught offside. Ishmael Miller (Huddersfield Town) wins a free kick in the defensive half. Attempt saved. Harry Bunn (Huddersfield Town) right footed shot from outside the box is saved in the centre of the goal. Assisted by Emyr Huws. Elliott Ward (Huddersfield Town) wins a free kick in the defensive half. Corner, Bolton Wanderers. Conceded by Sean Scannell. Offside, Huddersfield Town. Harry Bunn tries a through ball, but Ishmael Miller is caught offside. Substitution, Bolton Wanderers. Tom Walker replaces Wellington. Attempt missed. Emyr Huws (Huddersfield Town) left footed shot from outside the box is high and wide to the left. Assisted by Dean Whitehead from a direct free kick. Ishmael Miller (Huddersfield Town) wins a free kick in the attacking half.